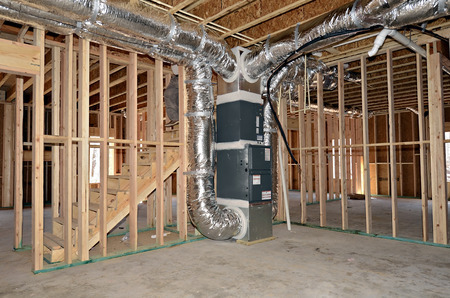 If you need a new HVAC system for a your home or office, Caldeco Air Conditioning & Heating is the Florida Licensed Air Conditioning and Electrical Contractor you’ll want on the job. We’ve handled HVAC system installations in homes and commercial buildings for over 25 years and are one of an elite group of Carrier Factory Authorized Dealers that is recognized as a Carrier Distinguished Dealer. We are a proud five-time recipient of the prestigious Carrier President’s Award, which is Carrier’s highest honor and only given to dealers that exceed expectations and excel in leadership, integrity and performance. Residential central air conditioner equipment and HVAC systems include manufacturer warranties, and installations that are performed by Caldeco Air Conditioning & Heating are also backed by a one year, 100% Satisfaction Guarantee by the Carrier Corporation. Our On Demand Service Team handles HVAC system repair service calls and our NATE certified repair technicians are quickly dispatched from our office to diagnose problems, make repairs and get your equipment up and running as fast as possible. Service vehicles are fully stocked with the tools and OEM manufacturer parts that our technicians most often need to make repairs to the most common, brand name HVAC equipment. In addition, our Precision Tune-Up Specialists Team includes our HVAC system maintenance technicians who perform regularly scheduled maintenance on equipment at homes and offices in Tampa, Wesley Chapel, Brandon, Westchase, Clearwater and the neighboring areas. Regular maintenance and precision system tune-ups are always recommended by manufacturers to extend the life of equipment and keep it running efficiently. Contact us today to learn more about our exceptional HVAC equipment and expert repair and maintenance services or schedule an appointment now.